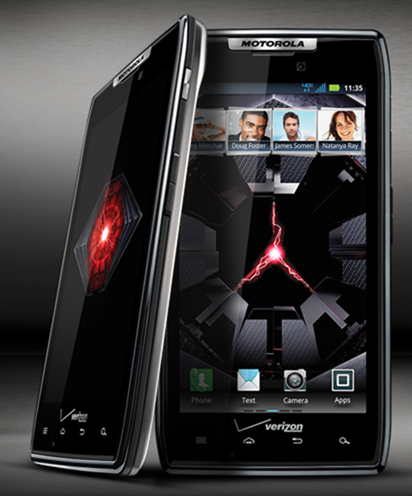 Although possibly overshadowed by the Google/Samsung event later this evening, the Motorola DROID RAZR was unveiled for Verizon Wireless today. We’ve read rumors and got a glimpse of the full device floating around the web yesterday, but aside from the pretty picture, what is Motorola offering this time around? First, let’s start off with the exterior. Motorola is boasting that it is the slimmest 4G LTE device currently out at 7.1 mm thick. While it is super thin and holds up to the RAZR name, it does offer that same lump across the top of the back like the DROID X where the camera is. So even though its thin, its not thin all over, hence Motorola loses a few points over that matter. But, to make up for that added thickness around the camera, they increased the rigidness of the device itself, Motorola added an awesome looking KEVLAR fiber backing with Gorilla Glass in the front. This should make up for one solid looking smartphone! The pictures of the back look great and I look forward to seeing it in person. Motorola also claims that they have added some water repellant magic to help keep the innards dry. 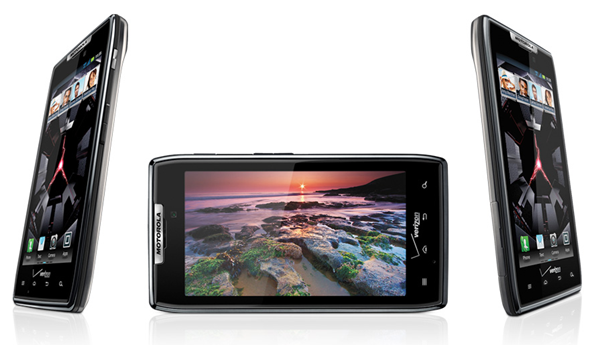 The RAZR is pounding out processes with its 1.2 GHZ dual-core processor. Its sure to leave all other devices in its dust! The screen you ask? Oh that screen! The DROID RAZR from Motorola will tout a 4.3" Super AMOLED Advance screen with qHD resolution that is just perfect for streaming Netflix and other video-based content. Inside it has 16GB of on board storage and comes coupled with a 16GB microSD card. 32GB of storage shouldn’t leave you begging for more, but with that microSD slot, you have the option, and that’s always a good option to have. The camera comes with an arsenal of video recording capabilities in the form of an 8MP rear camera and an "HD" front facing camera. The rear camera is able to record in 1080p resolution and has built-in image stabilization to reduce shakiness in the recording. DROID RAZR will also be coming with some accessory options as well, including a new 14-inch laptop dock, a new 10-inch dock, a vehicle dock, an HD dock, a gesture touchpad, a wireless keyboard and a portable power pack. Knowing Motorola, I expect we will see more accessories in the future. Use your webtop-enabled accessories to turn your phone into something greater; much like the Motorola Atrix. For security, Motorola has included a DoD/Government grade encryption-system that keeps your email, calendars, and contacts safe! Although we are all expecting the announcement of Google Android’s Ice Cream Sandwich today, the DROID RAZR will be sporting Android 2.3.5. We know that this may disappoint a lot of users, but let’s hope that there is a quick turn around for an update to Google’s much anticipated OS release. Also, as mentioned above, this phone is LTE-enabled so its on the fastest LTE network out right now; Verizon. Verizon Wireless has confirmed that the device will be available in November for $299.99 with a new, two-year contract. Pre-orders for the device will begin on October 27th. We look forward to comparing this device with what we expect will be the DROID Prime announced later this evening. Stay tuned! 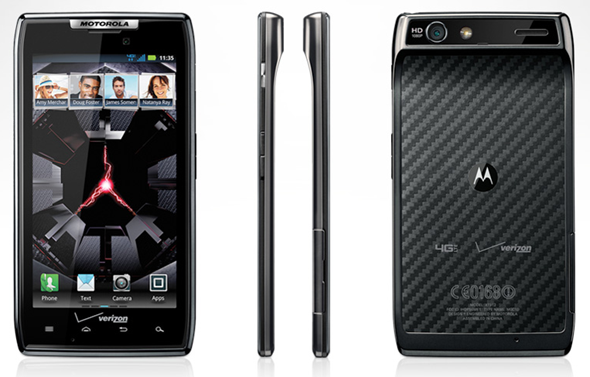 For more information, jump over to the official product page of the DROID RAZR itself.